There’s not a lot that hasn’t been tried when it comes to sales. Humans have been doing it forever, in a multitude of forms. From wide-smiled salesmen going door to door to charm their way to an impulsive purchase, all the way to personalized digital ads being delivered to shoppers at the optimal moment of weakness in their day. Delivering the right product, in the right way, at the right time, is a pot-of-gold-process that’s under constant scrutiny and being constantly disrupted and refined. Now companies are selling with VR, throwing a virtual hat (or headset) into the ring. We’ve looked previously at the ways VR is being used brilliantly by marketers, designers, and retailers. It’s time now for those in sales to grab a headset and pay attention. We have a few tips for selling with VR that could just be worth their weight in golf clubs. Yes, golf clubs. Rather than relying solely on a passive advertising campaign to influence through repetition, when promoting its PSi irons, TaylorMade used VR video to appeal to the dreams of every up and coming golf pro and get them involved. The VR campaign they created enabled people to virtually experience the world’s greatest courses in an entirely different way than they’d ever witnessed on television, as well as to stand alongside tour pros as they test and fit new products. Created to appeal specifically to experienced golfers, known to have a high level of interest in the technology of the game, the campaign let viewers feel they were accessing the inner circle of the sport and being treated to an exclusive experience that they were able to participate in. 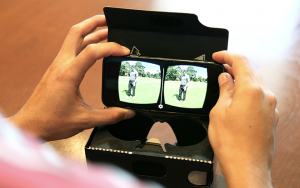 TaylorMade took selling with VR to a hyper custom, nich audience place with this execution. Does it work? The answer is yes. VR research firm Greenlight analyzed the performance of 360-video content and found that this type of branded VR content generated 15-20 times the number of views on platforms such as YouTube. Once people have had a great experience they want to share it, so, for great VR content, it’s wise to make sure this is as simple as possible. A lot of 360° content – including everything created with Yulio – can be shared via a simple web link or embedded directly into a website for web viewing via a snippet of code. The easier it can be shared, the bigger its audience will be, so make sure it can easily go beyond the eyes of the person wearing the headset. Selling winter coats capable of withstanding the harsh climate of Antarctica? How about you put your buyers there on the snowy ground. Selling the latest innovation that’s going to change the future? Send customers to the future to see it. Selling with VR is about putting your products and experiences in context. Like no other medium, VR allows for environments to be created that perfectly support the values of a product. From testing football cleats in the middle of an NFL game to virtually driving performance cars on the Nurburgring, creating a rich and immersive world around a new product and allowing customers to experience it, is immensely powerful in grabbing their attention and prompting them to buy. 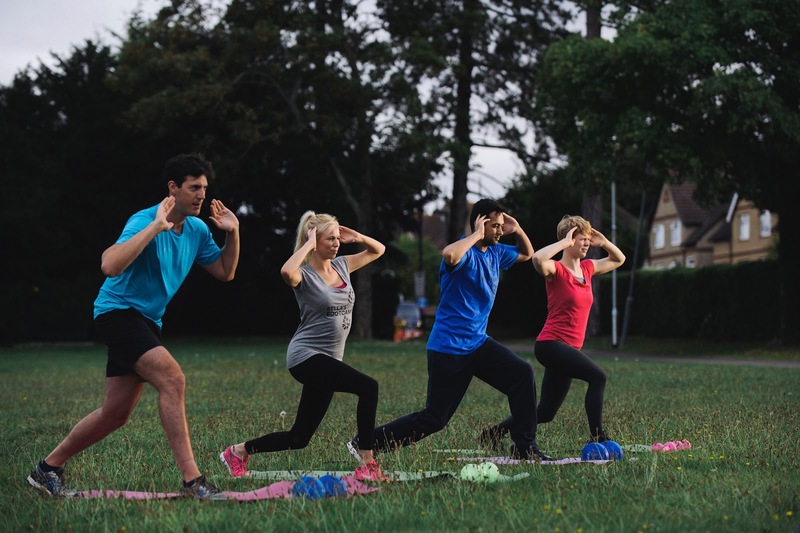 Giving their products context while also providing experiences associated with their brands that consumers will share has served adventure brands like The North Face and Merrell well, but the concept can be easily adapted to less exciting locales. Consider letting shoppers view everything from a bedside lamp to a wedding tent in context to better paint the picture for consumers and move them along the purchase funnel by speeding up their ability to picture the item in their lives. Virtual experiences can establish mood better than other storytelling media and speed up emotional connections. Imagine trying to explain your house to a potential buyer over the phone. Where would you even start? “It’s white and has a set of big windows at the front, near the door …” Are you ready to buy? No, of course, you aren’t. For those, such as real estate developers, who spend their time selling things which don’t yet exist or are far away from the buyer, the emergence of virtual reality won’t have come a day too soon. 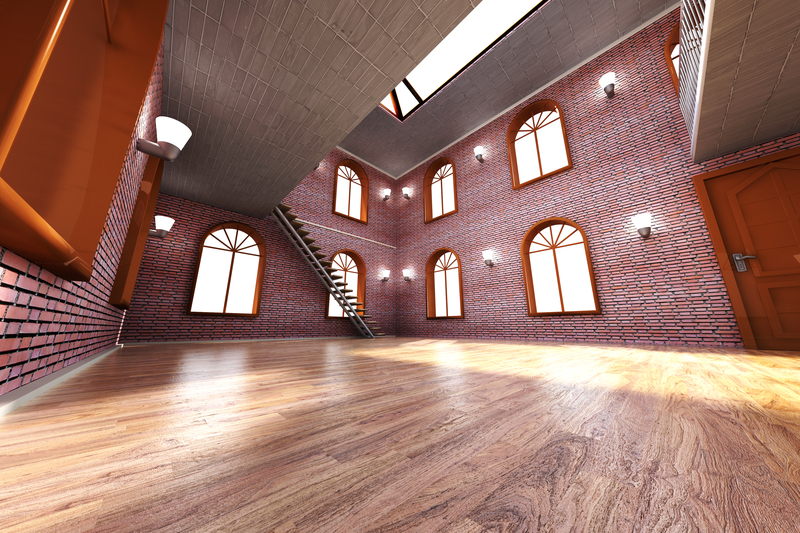 Highly detailed virtual environments, structures, and interiors are able to provide buyers with a clear sense of what they will eventually own. Hard to visualize elements such as size, space, light, and finish can be viewed three-dimensionally and ensure that expectations match with the eventual reality. Finishes can also be changed on the fly. Don’t like the kitchen color or the bathroom tiles? 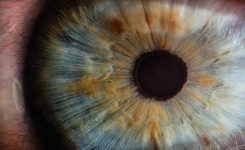 Show an alternative or two triggered via a simple, directed gaze from a user. 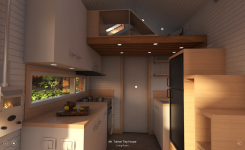 Residential Kitchen option rendered with Yulio VR. Extrapolate this concept to showing anyone, anywhere, any item, and your list of available prospects has grown significantly. 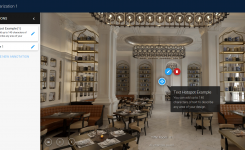 Sotheby’s real estate have experimented with VR for high-end properties so that prospects can get a better sense of the space before deciding if their level of interest warrants traveling to the property. The same could be true for rare vehicles, art, antiques, and collectibles. But also for more staid articles like timeshares, event tickets, and anything where physical space is a key element of the sale. Much like the iPod did away with the need to carry around a stack of CDs, mobile VR is a game changer for those in the business of selling things that are too big or complex to easily replicate, don’t yet exist or are a long way away. For those in the A&D field, holding a portfolio in your pocket means the end of cumbersome folders full of images. 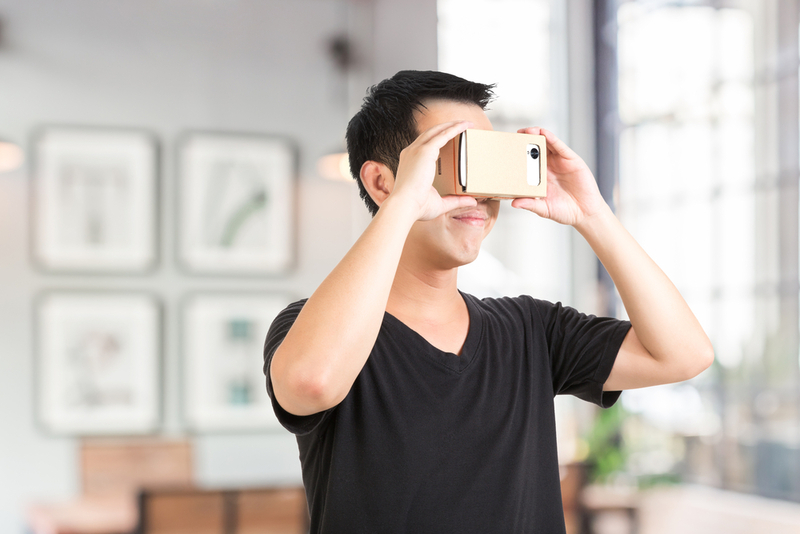 With a lightweight homido or cardboard viewer and a mobile device, designers, wherever they are, can go beyond simply showing their work and instead allow a prospective client to take a virtual tour within it. For those prototyping complex new products, using VR these can be studied, shared and viewed in three dimensions, at any time and anywhere. With VR designs stored on a mobile, physical products no longer need to be transported or even, in many cases, created at all until in more advanced stages of development. At this point in its evolution, even beyond the creativity of a use case, VR has some inherent pulling power and crowd appeal. According to research from Sonar (J. Walter Thompson’s proprietary research unit), 80% of Generation Z are more likely to visit a store offering VR and AR technology. Although VR is popping up in an increasing number of business environments, it’s still a new and exciting technology that a relatively small number of people have actually tried. 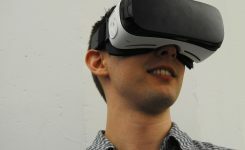 Brands can, therefore, take advantage of the extra novelty points they gain from providing people with that first ‘wow’ immersive VR experience. Time to get creative. 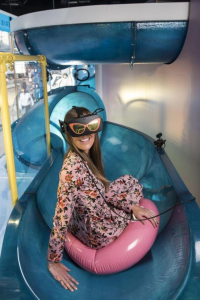 Much has been written about the millennial generation valuing experiences over material goods, and retailers working to appeal to them like TopShop are selling with VR to lure people into the environment as a pathway into the sales funnel. 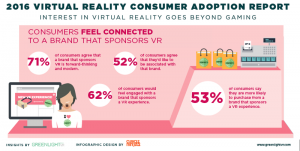 VR creates an experiential sales experience for retail. Photo from vrroom.buzz. With the hardware and software associated with VR becoming ever cheaper, more prevalent and more accessible, the technology has now become democratized to a point where the only barriers left to businesses are how creative they can get with it. Dive in early to create customer experiences that leverage the VR medium and its ability to show off things that are far away, too large to model every permutation or don’t even exist yet. For some more thoughts on how selling with VR is shaping the future and impacting of all kinds of industries, download our industry overview on SlideShare.